The big, uncertain picture: 2017 Global Economic Outlook - WorldCity, Inc. If one word could describe the world outlook for 2017, it’s uncertainty. 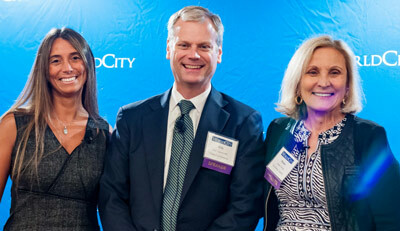 That was the take-away from the Big Picture panel at WorldCity’s largest Global Connections event held Jan. 27, 2017 and headlined by Donna Hrinak, president of Boeing Latin America and the Caribbean; Eric Farnsworth, vice president the Council of the Americas; and Magdalena Ramada, senior economist at Towers Watson. Yet all three panelists are hopeful too. Ramada sees promise for tech innovation, including cybersecurity and artificial intelligence. She and Farnsworth are heartened by economic progress in Latin America and its middle class that mushroomed in the past decade. And Hrinak is buoyed by continuing growth in commercial aviation around the globe. But they’re concerned about the effects of a Trump administration, especially in the nearby Latin American region. Latin America generally would like to expand business with the United States, but Trump may not be so keen. Amid the uncertainty, many multinational companies are sitting tight and watching. If Trump opts to work less in Latin America, China could pick up the slack, Farnsworth said. The Asian superpower has become active in Latin America in the past 15 years and helped keep the region out of recession in 2008-2009. Besides social instability, Ramada sees two other important sources of risk: cybersecurity and the environment. 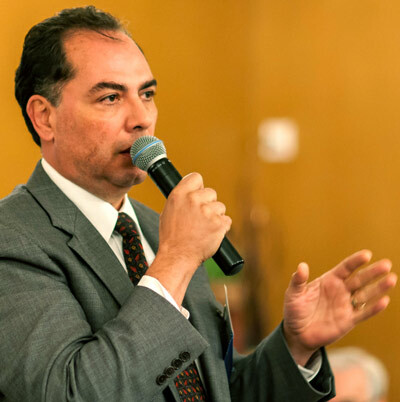 While there are new tools to mitigate risks on computers, the corporate community is not doing enough to keep governments accountable on cybersecurity, said Ramada. An audience member asked panelists how companies should react to consumer demands for environmental protections if the U.S. government backs out of climate-change agreements. Boeing, however, does sees reasons for optimism on climate change in aviation. That collaboration may well prove vital for groups across the world to reduce uncertainties this year. 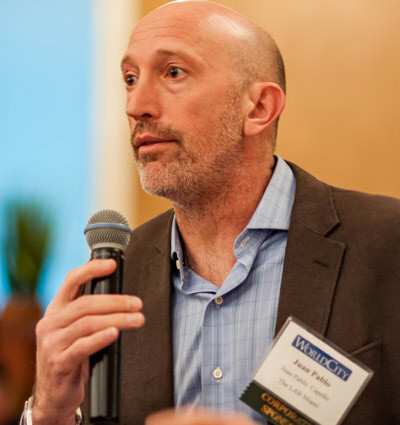 Global Connections is one of four event series organized by media company WorldCity to bring together executives in greater Miami on international business topics. WorldCity will launch its 2017 “Who’s Here” directory of multinationals in South Florida on Feb. 24, 2017.